Children symbolize so much to humanity. Each is a clean slate, innocent and full of contagious joy. As adults, we strive to create a brighter future with them in mind. And for each parent, they are a precious gift, a piece of themselves that gets to live on. Imagining a world without children, means a world with no hope for the future. In Children of Men, the human race has become infertile and the youngest living person, eighteen year old baby Diego, has just been killed. There are hints that the world has been ravaged from nuclear war, pollution, disease and violence. While it seems that many other countries have fallen, Britain limps on. Bombings and violence are regular occurrences. Within every citizen’s rations are anti depressants and a suicide kit, yet marijuana is still illegal. The government works like a terrorist network to track down, publicly cage, and even execute illegal aliens (mostly survivors from fallen nations, I assume). This near futuristic world is bleak, unsettling and dangerous. 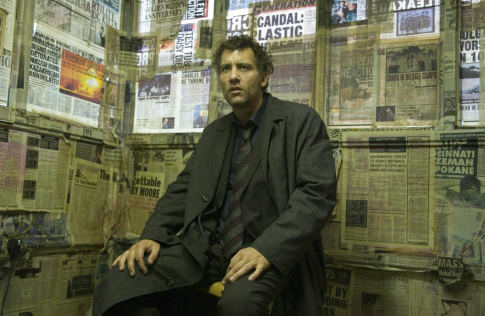 Theo (Clive Owen) is a hardened man, just existing in this crumbling world. He has a history of rebellion against the government. His friend and retired political cartoonist, Jasper (Michael Cane), has successfully made a happy home off the grid, where he grows and sells marijuana. When a woman from his past, Julian (Julianne Moore), asks for his help in illegally transporting a young woman, Kee (Clare-Hope Ashitey), there is much more at stake than he could have imagined. One thing that I find amazing about this film is the way director Alfonso Cuarón makes use of long shots. Though most are digitally spliced together and not traditional long shots like Hitchcock used, they hold our attention and create suspense just as wonderfully. In one, the camera stays within a car and rotates to show us the action inside and outside the car, going from a fun memory shared, to chaos, violence and tragedy without blinking away. Toward the end, a shot lasts for over six minutes, following Theo as he moves through an erupting uprising. Violence spirals all around, bullets seem to be whizzing and popping from all over and he searches through the chaos and despair for Kee and her most precious cargo. 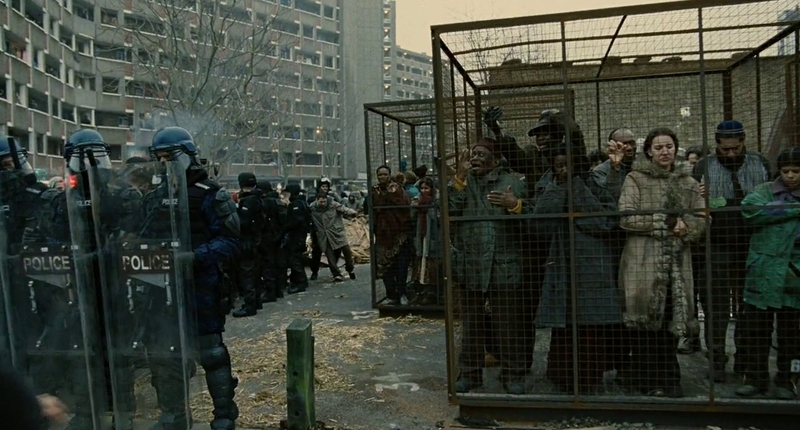 At the Academy Awards, Children of Men was nominated for three awards: best cinematography, film editing and adapted screenplay. They were lost to The Departed and Pan’s Labyrinth. The running for best picture was pretty tight, but if there had been ten nominees, Children of Men would have surely secured a nomination. 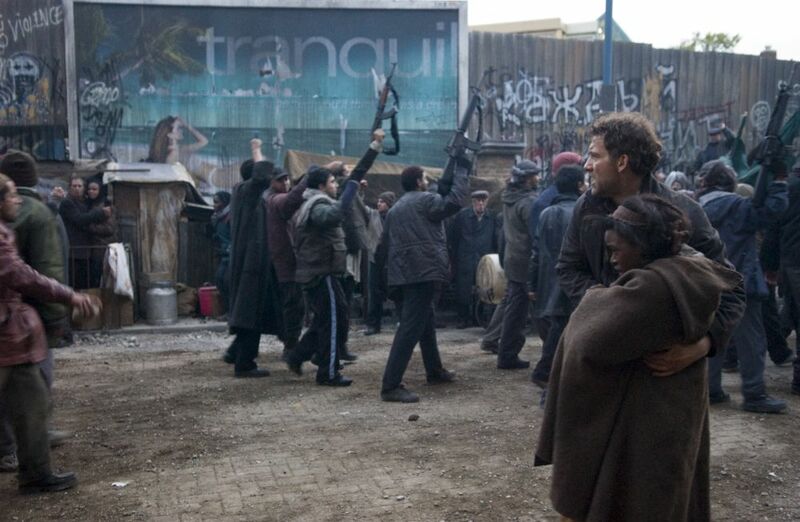 Children of Men is a powerful, thought provoking film portraying a desperate world with no hope. Set only fifteen years in the future now, I’m always relieved when science fiction is not likely to become reality. Since the tone is so bleak, even when hope emerges, it may not be the most enjoyable film for everyone. However, this is a recent film done so well, in both visual technology and story line, that I believe it is destined to become a classic.